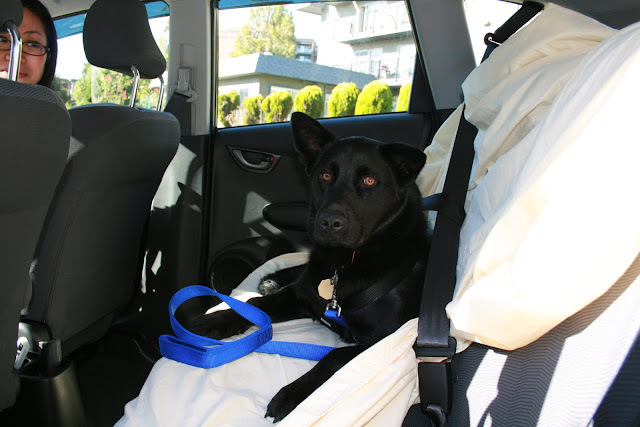 Blog by a dog: Ready to go! Hey this car is great! Handles well, easy on gas, cool when it's too hot outside, locks and windows that magically open and close whenever I need to get out or look outside, and black and stylish... kinda like me! Plus I feel so safe in here, sometimes I just don't want to get out!